Brian Hicks never wanted to have the biggest roofing company in the world — just the one that did the best work. 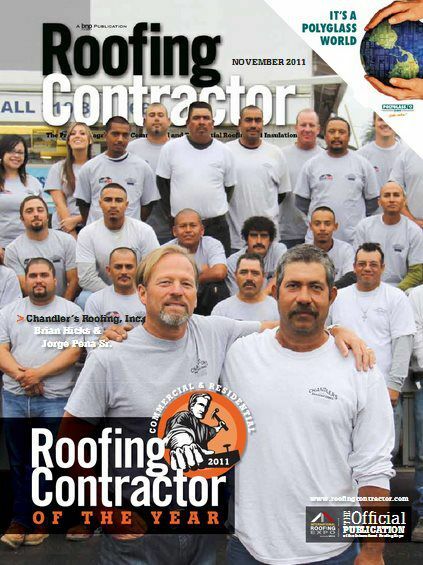 After 35 years in the roofing industry, including the last 21 years as owner of Chandler’s Roofing in San Pedro, Calif., Hicks has earned a reputation for top-quality work. His company has cemented that reputation with the 2011 Roofing Contractor of the Year Award in the Residential category.  Chandler’s Roofing was originally founded in 1942 by Coy Chandler. After Chandler retired, Hicks, a longtime employee of the original Chandler’s Roofing, re-incorporated the company under a new contractors license in 1990. The company currently has more than 20 employees and does all types of work, including commercial roofing, rain gutters, skylights, waterproofing, and custom sheet metal, but Chandler’s is best known for its high-end residential work. Past high-profile clients include Madonna and Sean Penn, Barbara Streisand, David Geffen, Joan Collins, Olivia Newton John, Johnny Carson, Diane Cannon and the Wrigley Ranch on Catalina Island. Recent projects include several homes for Donald Trump in Beverly Hills and Rancho Palos Verdes; Los Angeles Kings defenseman Rob Blake’s home in Manhattan Beach; and Los Angeles Lakers coach Phil Jackson’s home in Los Angeles. The company also installed the roofs in a Habitat for Humanity project in Lawndale, Calif.
Hicks’ start in roofing was anything but glamorous. One of his high school friends needed some help on a roofing project, and Hicks, then 17, pitched in as a laborer. After attending San Pedro High School, Hicks entered a local community college with hopes of becoming an engineer. He credits a heart-to-heart talk with his father during his sophomore year of college for helping him make the decision to enter the roofing industry. Hicks had a wealth of experience in roofing when he took over the company in 1990, but he realized he still had a lot to learn. But he had lived through tough economic stretches before, so he was ready when the economy went south a couple of years ago. The company is a certified installer with many of its manufacturer partners, including GAF, CertainTeed, IB Roof Systems, Boral Roofing and Custom-Bilt Metals, as well as a member of the National Roofing Contractors Association (NRCA). Chandler’s is a GAF Master Elite Contractor, and Hicks credits that program for helping him improve his business on many levels. Hicks credits Pena with training and developing the company’s workers and making sure they use proper safety techniques and stay on top of new developments in products and application methods. Lines of communication are kept open at morning meetings, when staffers update one another on ongoing jobs. The “backbone of the office” is Cherie Hicks, Brian’s wife, who has been with the company 15 years and manages the office staff. There are several employees who have relatives at work in the company, which adds to the family atmosphere. Hicks’ team excels on the jobsite, and it’s now helping the community as well by participating in Habitat for Humanity projects in the local area. When GAF offered Master Elite contractors the opportunity to participate with Habitat for Humanity, Hicks jumped at the chance. According to Leeds, GAF donated the shingles, underlayment, and warranty, while Pacific Supply donated other ancillary materials. “Our foremen and workers stepped up to the plate and donated their time and labor for the install,” said Leeds.